Public displays of affection are sweet—but only if you're the one involved. For those just observing, it's discomforting. 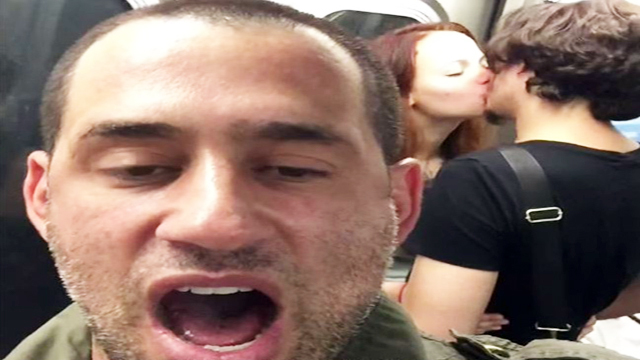 So, when a couple started kissing on a subway train, YouTuber Josh Nasar decided to call them out. Loudly. He started filming himself and the PDAers in the background while yelling "Awkward! Awkward!" over and over again. They don't seem to care at first, but when Josh cheered louder, the girl started flashing her middle finger.